More than 160 senior litigators and GCs came together for Legal Business’ first Commercial Litigation Summit on 13 May in central London. The summit’s third session looked at how the Lehman collapse changed the face of disputes litigation and what’s to come as the number of crisis-driven claims tail off. The afternoon session began with a meaty topic, introduced by Signature Litigation’s Abdulali Jiwaji, analysing how the collapse of Lehman Brothers has changed the face of disputes litigation and identifying trends. Jiwaji observed that with limitation periods starting to expire there had been an uptick in claims against banks, while Travers Smith’s Huw Jenkin noted that although there are still claims in the courts, overall the number is decreasing with the Lehman administration over six years old. ‘The back end of the administration would be where you would find the most difficult, most challenging and most unattractive cases. I am told by counsel that there are still some very large, very thorny cases going through the courts,’ said Jenkin. Brick Court Chambers’ Jasbir Dhillon QC agreed with Jenkin’s assessment, noting there were two broad categories of case, firstly those that directly involve a Lehman entity, which are largely termination disputes, valuation disputes and disputes about the financial effects of a close-out of a transaction as a result of the Lehman insolvency. Separately there is a large group of other cases that qualify as a Lehman-related case because they were triggered by the collapse of the bank. We will soon, he said, enter the ‘enforcement phase’, with the Swiss liquidators of Lehman, which will trigger a whole new wave of litigation. ‘If experience is a guide, we are coming to the end of the Lehman cases, but I suspect that there will always be another financial crisis, albeit almost certainly not quite as big as the Lehman crisis, that will give rise to further fodder for banking litigators,’ he said. Damian Bisseker, managing director and head of litigation EMEA at Credit Suisse, was on hand to provide the bank perspective on post-Lehman litigation. He said there was a great deal to be learned from the disputes and the detailed rigorous analysis that the contractual methodology has been put through. However, he said he could feasibly see another serious market dislocation and there would always be scope for litigation, despite the lessons learned. The key issue on Lehman, as far as Bisseker is concerned, is the number of mis-selling cases relating primarily to structured products issued by Lehman amid allegations that bankers should have been on notice that Lehman was going to collapse and should have warned their clients. ‘In all the cases we have taken through, the courts have taken a pretty rigorous view that there is not such an obligation on banks in that sort of situation,’ he commented. In terms of apportioning blame, when asked why banks have appeared to be reluctant to ‘take the gloves off’ in significant pieces of litigation against other large financial institutions or each other, Bisseker confirmed there is still a great deal of reluctance for banks to take that step against institutional counterparties. He added that banks would prefer to either reach a commercial compromise or, if they are forced into a litigation scenario, to do that through a Part 8 procedure, in an attempt to obtain contractual certainty and clarification from the court. Particularly relevant to that last point was the news from Dhillon QC that a week before the summit, the commercial court and the Chancery Division had issued a proposal and consultation on establishing a specialist court to resolve financial market disputes, branding it ‘the financial list’. The basic elements of the proposal include having nominated judges with expertise in financial markets litigation on a docket system, enabling parties to have the ability to issue claims in that court with a value of at least £50m. Interestingly part of the proposal includes the suggested adoption of a market test case procedure, which will allow parties to obtain English law guidance on issues without the need for an actual dispute. ‘As I understand it, the test case procedure enables the dispute to be resolved with no order as to costs. 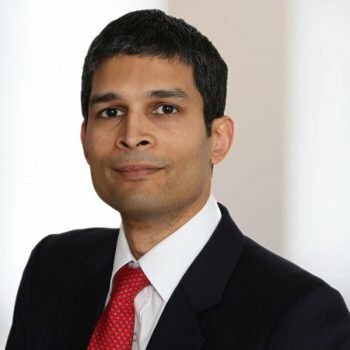 If it encourages an ability to get a quicker and more effective resolution of a dispute with less adverse consequences if you do not win, then it seems to me to be welcome,’ said Dhillon QC. Although details on the proposal were sketchy at best, Dhillon QC said he believed the main difference between the proposed test case procedure and what already exists, which is the early neutral evaluation, is that it would be binding. In the view of Ronnie Barnes, principal at expert witness firm Cornerstone Research, of the main advantages a specialist finance list could bring is that having someone who spends all their working day on such cases would be a great benefit, recounting a recent case before a non-specialist arbitral panel in New York, where there was a concern that the lack of sophistication on that panel would make a lot of the technical detail irrelevant. Looking ahead to cases that may have a significant impact on the financial services industry, a number of different matters came up. Dhillon QC said he felt that the mood music before Lehman was no different to now: if you were seeking to advance a mis-selling case against a bank, it was almost impossible to succeed unless you could establish fraud with strong facts. Subsequent cases that have failed have borne this out, such as Deutsche Bank v Sebastian Holdings, which was a spectacular indication that life has not become necessarily any easier for a claimant in the commercial court. Bisseker noted that the doctrine of contractual estoppel, entrenched in JP Morgan v Springwell, is still king but Credit Suisse has noticed judges becoming increasingly critical of bankers, and more willing to find dishonesty and bad faith in bankers giving evidence. However, he noted that the Vestia case, in which Credit Suisse is a claimant and comes before the Court of Appeal in July, is going to be ‘one to watch’ as it will deal with the interesting battle between ultra vires and contractual estoppel. Jenkin then went on to highlight three likely causes of disputes in the medium term. These include private follow-on claims following regulatory investigations, such as cases against Mastercard and Visa which are due to come in at the end of the year; Libor-related claims will also be coming through the courts, such as Property Alliance Group v RBS. The other significant growth area will be litigation brought by shareholders over the disclosure, or lack of it, of information about a company. The obvious example of that is the RBS rights issue litigation and claims against Lloyds Bank. One case that was highlighted from the floor that is of particular interest is Bathurst in Australia, where a local authority successfully issued claims for negligence against one of the ratings agencies and some investment banks over its investment in a structured product. Two sets of proceedings are now coming to the UK, one involving the bank, the other involving the bank and the ratings agency and these could open up a swathe of litigation if the agency is found liable for the verdict it gave. As a barrister Dhillon said that it is striking how the landscape has changed in London from 2007, when there was a relatively small number of law firms that were equipped to deal with sophisticated financial markets litigation.